Come with us to the great cities of North America for a short city break, a long weekend shopping or a brief stopover. You might even want to spend your entire holiday touring between the incredible and diverse cities of America and Canada, maybe even on the same trip. 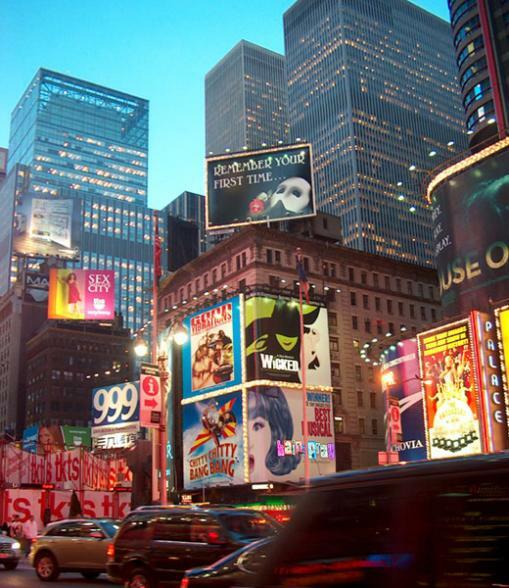 There’s New York City, of course, with its iconic landmarks, shows, shopping, museums and sheer frenetic pace of life. We love the Big Apple but are just as taken by the historic, walkable city of Boston, the grandeur of Washington DC with its museums and monuments, the attitude, blues and beach of Chicago and the birthplace of Independence, Philadelphia. How about a musical break or long weekend in Nashville or Memphis - perhaps both - or combine great music and mouth-watering cuisine in New Orleans? or a long weekend break to the bright city lights of Las Vegas? If you have 4 or 5 days to spare we can fashion city breaks you’ll long remember to cities such as Las Vegas, Miami Beach and San Francisco, and depending upon what interests you we can recommend destinations especially for music, cuisine, shopping, theatre or sporting events. North of the border, Canada has some amazing and vibrant cities that are a joy to discover: A weekend or city break to Toronto, Quebec or Montreal would be ideal for shopping, sightseeing and theatre, while further west Vancouver is one of our absolute city break favourites. Bon Voyage has been planning city breaks in America since 1979 – we can make tour and restaurant recommendations, book your show tickets, arrange a stretch limo to meet you and much, much more. If you are looking for a little "action" on your holiday or weekend city break, then North America simply can't be beaten! Nightlife just doesn't get any bigger, bolder and flashier than Las Vegas, with its casinos, concerts and breathtaking shows. 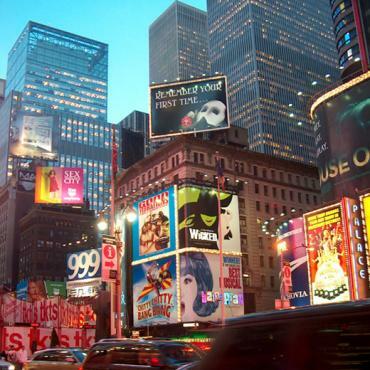 New York City's Broadway has a reputation to rival the West End of London for quality theatre. 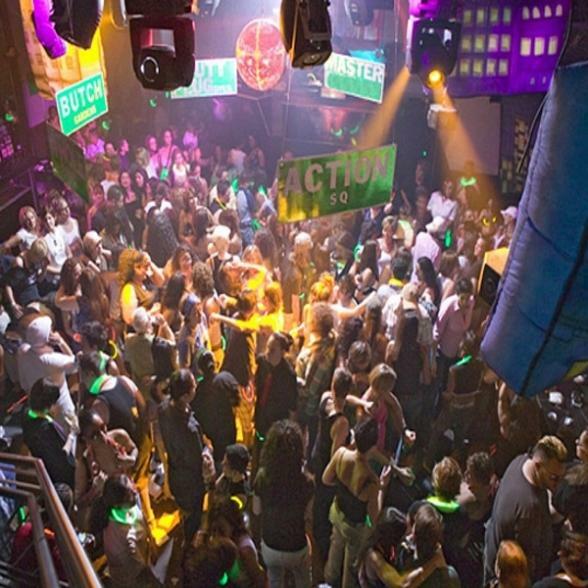 Other City nightlife includes Miami's nightclub scene which is said to be the most outrageous in the world and New Orleans can party like nowhere else. Live music - from grunge and rock via blues and country to classical - is legendary from Seattle via San Francsico, LA, Memphis and Nashville, to Austin and New Orleans. Dining in North America is on a different scale. Firstly, the portions are outrageous, but more importantly the quality and freshness of the ingredients is first rate. 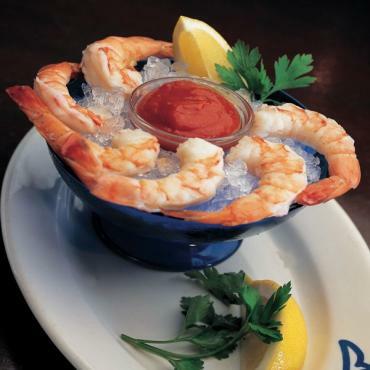 Enjoy juicy steaks and long-neck beers in Texas, Cajun and Creole food in New Orleans, Key Lime Pie in Florida. Head up the eastern seaboard for astonishing shellfish in Georgia, not forgetting those grits at breakfast and BBQ at dinner, the peach orchards of New Jersey, the delis of New York City, the clam Chowder in Boston and the lobster in Maine. The Canadian restaurant scene is now making a splash on the world stage with many great restaurants in all of Canada's major cities to rival anything in the world. 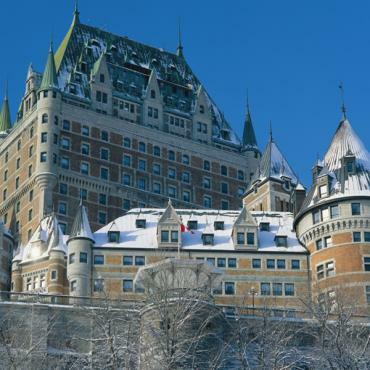 Quebec in particular, with its French heritage seems to be making a major impact. Vancouver is renowned for outstanding fish and seafood. If your idea of shopping hell is trailing round a busy city centre on a drizzly Saturday afternoon, allow us to present shopping USA-style! Welcome to light, airy spaces where the parking is plentiful and the bargains are barmy. The USA shopping mall is built on customer convenience and so many of the malls are destinations in their own right. PLEASE, allow us to share our years of shopping experience to help make the most of your dollars and your time. In the heart of the Deep South, Alabama is regarded as one of America’s best kept secrets with a diverse mix of landscapes, historical attractions and miles of golden beaches. Located in the heart of Newport Beach, Fashion Island is open-air, upscale shopping bliss. Where do you think Hollywood's elite go for retail therapy? It's easy to get excited about shopping, especially in the USA, but Irvine Spectrum Center really will put smiles on everyone's face. Tampa’s cosmopolitan edge continues to amaze and delight us and our newest find, Epicurean is top of the list. Located amidst the neon glamour of the infamous Vegas Strip, Fashion Show Mall is the largest retail destination and shopping center in Southwest USA. Whether it's a stroll along a cobblestone walkway, or a relaxing ride in an authentic Italian gondola, The Grand Canal Shoppes offer a shopping experience like no other. On Chicago's Magnificent Mile? CheckNordstrom? Check50 stores? Check20 restaurants? CheckOne amazing stop ticks all the shopping boxes! 11 days, 11 stages and over 700 bands! Navy Pier is a 3,300-foot long pier along Chicago's Lake Michigan shoreline. What can we say – NYC is simply a shopper’s paradise! Where can you shop, dine and see a great view of the Hollywood sign? The Magnificent Mile is the portion of Michigan Avenue that serves as the main thoroughfare between Chicago's Loop business district and its Gold Coast - the wealthiest neighborhood in Chicago. An open-air shopping experience just blocks from the beach and steps from Third Street Promenade. Woodbury Common Premium Outlets is a Bon Voyage favourite - hands down one of the places we all agree is a shopping must. Nordstrom's semi-annual sale? Barney's warehouse blowout? Mere child's play to serious LA bargain shoppers. Shopping is one of the top attractions in New Hampshire as there is no sales tax. The best places to...read more. What has 2.1 million square feet of space, is shaped like an alligator and draws nearly as many annual visitors as Disney World? Shopping, dining and entertainment along the banks of Biscayne Bay are what make Bayside Marketplace a must! The glistening NYC skyline at dusk makes for an incredible sail. Access into the top clubs in New York is all about knowing the right people. Once that happens, you discover a whole new experience and you truly find out why this city has the celebrated nightlife reputation that it does. Explore New York's classic bars, lounges, and hottest nightclubs in classic style as only "Old Blue Eyes" could appreciate. If you like your music then be sure to include a visit to the Blue Room in Kansas City. This one of a kind luxury yacht is the ultimate way to see NYC. Experience the excitement of LA and Hollywood with this one-of-a kind tour! Watch the scenery change from buildings to lush green farmlands, rolling hills and vineyards. Depart New York East through the borough of Queens leaving the hustle and bustle of the big city behind. Follow in the oh-so fancy footsteps of Carrie and Co! Drink where they drink, shop where they shop, gossip where they gossip. The CityPass is a booklet with actual admission tickets to all the most famous sights in New York. Best of all, the CityPass means almost 50% savingings on normal entry prices! Tucson's premier shopping, dining and entertainment complex. A shopper's paradise in Hawaii! Located on a premier stretch of Kaanapali Beach this open-air shopping and entertainment centre is a vibrant collection of more than 90 shops, oceanfront restaurants and the finest whaling museum in the Pacific. At the pinnacle of Chicago's famed Magnificent Mile, Water Tower Place is Chicago's premier shopping destination. 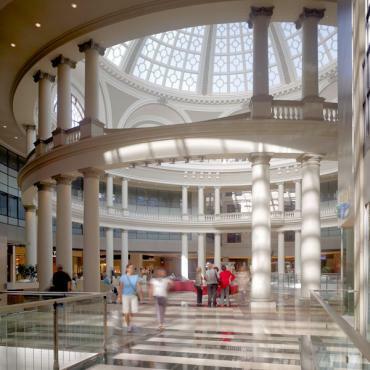 The prestigious Oakbrook Center is always cutting edge and has been voted THE number one shopping center by Illinois shoppers (and trust us – they are some savvy shoppers!). The Midwest's most distinctive shopping experience. If you're looking for a shopping experience out of the ordinary, it's got to be Plaza Frontenac. You’ll not only enjoy the elegant ambiance, but also be entertained by its unique and one-of-a-kind events. Drop the kids off at the theme parks and get shopping! Desert Hills Premium Outlets isn't a mirage....it's a desert oasis - brimming with designer fashion and accessories. 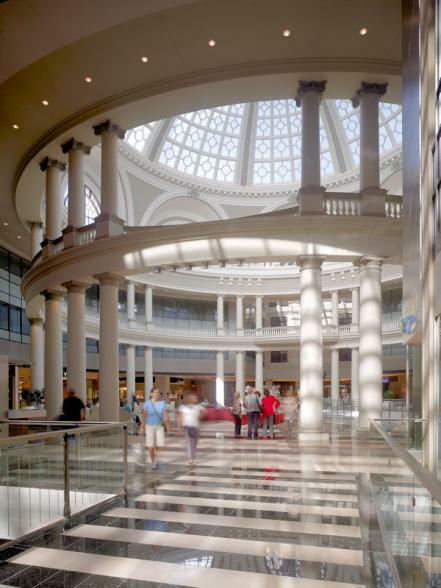 From the moment you arrive at Galleria Dallas, you know you’re in for a Dallas shopping experience unlike any other. A landmark, historic location with designer shopping! The votes have been counted and Scottsdale Fashion Square is firmly a Bon Voyage winner when it comes to the best shopping experience. Westfield Horton Plaza, right in the heart of San Diego’s historic Gaslamp Quarter, offers superb shopping and dining only a stone’s throw from the most popular Bon Voyage hotels. Westfield Countryside is the perfect escape after a day soaking up the sun on Clearwater Beach. We absolutely adore this building and the spaces inside. Calling all Elvis fans. We have one for the bucket list! Fashion Outlets of Chicago is the Midwest’s ONLY two-level indoor outlet experience, offering over 130 stores with savings up to 75% every day! Steve Wynn’s masterpiece is, as the name suggests, an Encore to Wynn right next door. Contemporary and modern apartments in the heart of the theatre district. Conveniently located between Chicago's top visitor attractions - The Magnificent Mile and Navy Pier. Beverly Hills, Rodeo Drive, Bel-Air, Hollywood. At the luxury Hotel Palomar Los Angeles - Westwood, you'll be only a short drive to these popular destinations. Shoppers will love the short walk to nearby shops, galleries, restaurants and cultural centers of Westwood Village and Brentwood, while sun-worshippers can take an easy trip to experience the famous beach havens like Santa Monica and Venice. The Grand Hyatt is a deluxe hotel located on the east side of Midtown Manhattan.